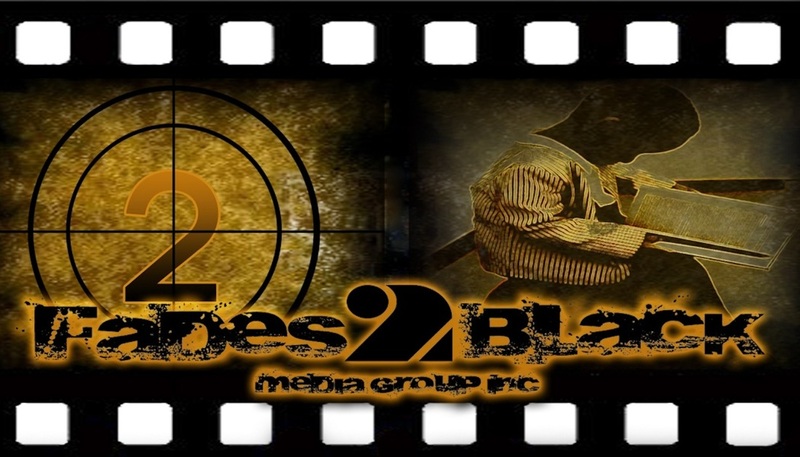 Director Ducatti Is President at Fades 2 Black Media Group Inc. He began his career in music as an artist where he wrote and produced his own music as well as music for other artist in the industry . In 1996 Ducatti launched "Young And Ruthless Entertainment" a production and artist management company. By 1997 he landed a record deal with top indy label "Nervous Records" Home of Black Moon, Smiff & Wesson, Broadway, Lady Saw, and Funk Master Flex just to name a few. After the label folded he decided he would not seek another record deal. In late 1997 Ducatti released his first independent single titled "The World Is Mine". Radio personality Wendy Williams was the first to introduced the song on a mix tape she released that month. That same week close friend and Hot 97 DJ CoCo Chanel featured the record on Hot 97 Ladies Night. Shortly after other DJ's at the station like DJ Funk Master Flex and Dj Red Alert started to spin the record. "The World Is Mine" became a hit and went on to sale over 40,000 units. In 1999 while working a desk job in Corporate America Ducatti decided he would try his hand at another side of the music industry and was hired by "Every Where Promotion and Marketing". While learning the business he promoted and booked gigs for major artist like Jay-Z, Puffy, Biggie, Mase, Will Smith, Nas, DJ Red Alert, Jam Master J and The Wall Flowers, just to name a few. Finishing up a tour in Miami Ducatti was approached by the owner of club Zen. A popular South beach night club. Ducatti was offered a job as the club promoter. As his name and skills as a promoter spread around town he promoted a few other clubs and Miami artist before moving back to New York. In 2002 Ducatti collaborated with child hood friend and producer Meddy Foxx to launch "Lab Worx Music" a recording studio and record label. The duo signed a few local artist and producers but, due to unfortunate events the venture would be put on hold for a few years. From 2002 - 2012 Corporate America was life. At the end of 2012 Ducatti and Meddy Foxx decided to venture back into the music world and launch "Grynd House Music" a record label and recording studio located in Brooklyn NY. Only this time Ducatti would once again be at the helm. With Meddy behind the boards, Ducatti was right at home behind the mic writing and recording. After recording enough songs to drop 3 mix tapes Meddy Foxx came up with the idea to shoot their own videos. Ducatti being the business head, figured that was a great idea and in a few short weeks They launched "Fades 2 Black Media Group Inc" A Film and Branding Company. What started out as a Canon 60D camera and a dream, has turned into a small empire. Director Ducatti has worked with major artist like Wale, Maino, French Montana, Kirk Kobangz, Das EFX, K-Foxx, Styles P, Eric Sermon, Gun Play, Wyclef, Smack DVD, Nore, Slaughter House and Jim Jones just to name a few. He has also collaborated with other production companies like "Boom Town" Scenario and "Mills Miller Media". Director Ducatti has also done projects for major brands like TI's clothing line "Akoo", "Parish Nation Clothing", "Hennessy" and "Monster Energy drink" . In October of 2012, while NY was locking down to do battle with one of the worst storms in our reported history "Hurricane Sandy". Director Ducatti along with "Embassy Elite" and "KaicoonMedia" was on set where he co-directed, dp and produced a film for HBO by creator Don Stone called "County Of Kings". In 2012 Director Ducatti and Fades 2 Black Media Group Inc was brought on board by award winning writer, director, producer Princeton Holt and "One Way Or Another Production" a DC based Film company to Help produce a feature Film called "Butterfly Chasers" The two companies worked so well together they decide to work in conjunction and form a marriage where they will lock in for a number of films and TV projects. April 2013 Director Ducatti and Fades 2 Black Media Group Inc shot a Sizzler for creator Michael Rice, a reality show called "Bricks". The show was picked up by VH1. Ducatti has also shot for "Black Ink Crew" another VH1 reality show. Director Ducatti | Ambition and Fades 2 Black Media are working on a few in-house projects. A reality show based on automobiles and motorcycles called "Sprayed" featuring the very talented Jimbo Bad. He is no stranger to TV, as he has been featured on The Speed Channel for his magnificent work. Also in the making is a Dance Movie called "Turn UP", written, directed and produced by Ducatti. Director Ducatti | Ambition is growing in a industry where your only as good as you last body of work. In less than a year he is proving to be a visionary and leader in the Film and Movie Industry.